This sweet and cinnamon-y Christmas punch warms the soul while tickling your taste-buds! 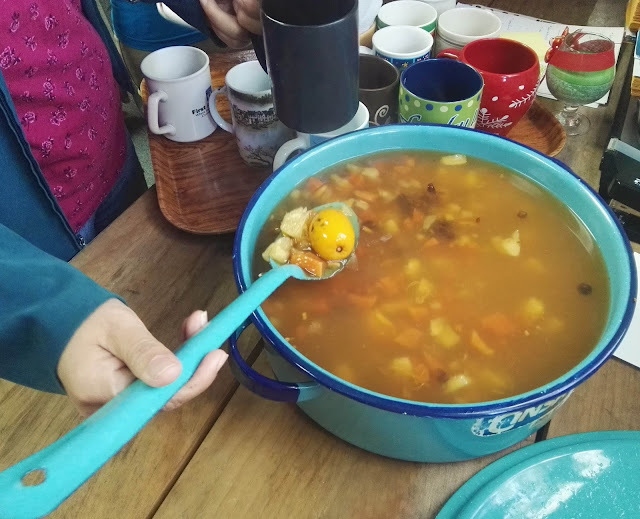 In Guatemala it is served hot, and comes out at most holidays meals and parties - and there will be an especially big bowl of it with the traditional Christmas Tamales that are always served on Christmas Eve and New Year's Eve! It's a delicious tradition that goes back generations for many Guatemalan families. 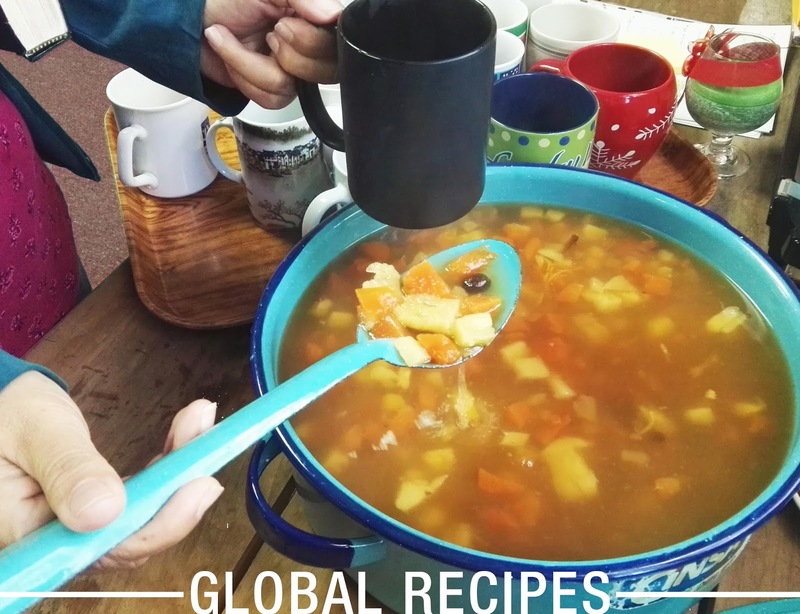 This recipe comes to you from two of our favourite Guatemalan staff, Ligia and Paola! Their families enjoy this delectable drink each yuletide, and are happy to share it. Feliz Navidad! When warm, stir in the cinammon sticks, cloves, salt, and sugar (adjust to taste). If it starts to boil, do not let it boil too long; a small amount of boiling may enhance the cinnamon flavours, but over-boiling will reduce the liquid and change the flavours while also making the fruit chunks go mushy. Transfer the pot of punch to a festive serving bowl or even a slow-cooker (in which you can keep it warm) and serve warm! Even if warm fruit punch is not your thing, the sweet cinnamon aroma will bring that Christmas cheer to any room. Did the warmth of this yuletide beverage warm your heart towards doing something more for Guatemala? Ligia and Paola work on behalf of children in developing communities, trying to help their families better their lives. You can help Send Food Aid to families like these in Guatemala today.